Given the miserable diving conditions and the not very pleasant weather there was not too much to do this weekend. 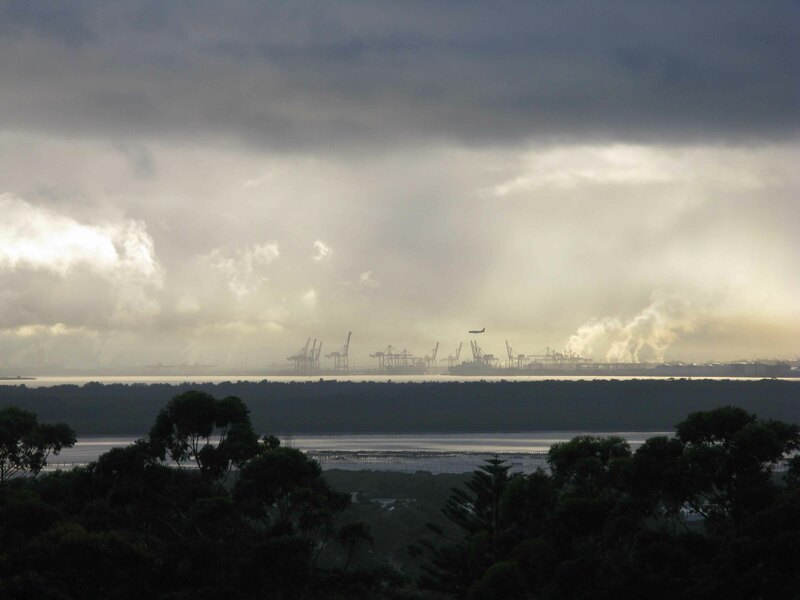 I took the picture of Port Botany Bay below from my balcony this morning at 8. And went back to bed for half an hour after having seen how the weather was like… But ok, the weather on Saturday had been a bit better, and I went for a bike ride out to Kurnell. 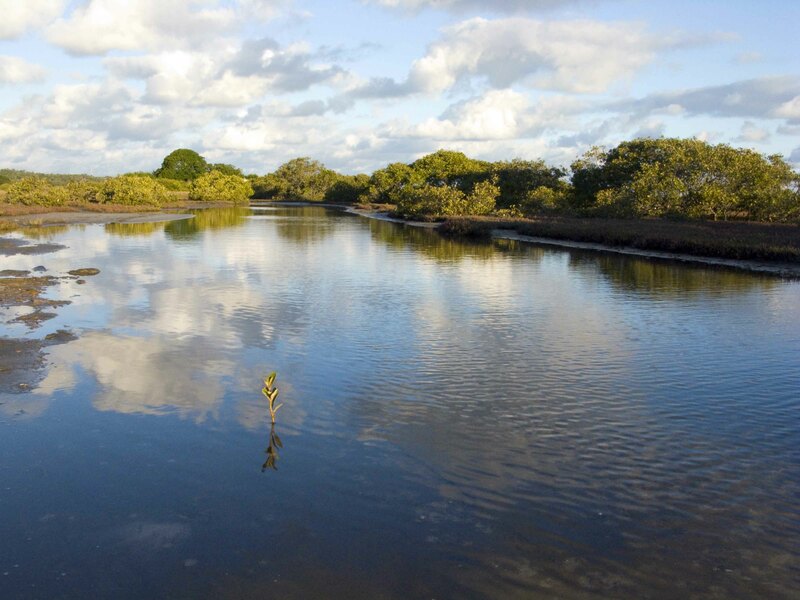 On the map I saw that there is another wildlife reserve just before reaching Kurnell, the Towra Point nature reserve. I thought of checking it out on the way, as it has water on its east side – this would allow to see and take pictures of the sunset with water in the foreground… Soon after cycling into Towra Point road I saw the official NPWS sign – no cycling, and I am not sure if entry to the reserve was even only allowed with a permit. I stepped off my bike and walked along the road. The road became more of a lake soon though – not a surprised after the rain during the last few days, this part of the reserve was marked “barrier swamp”. I did not attempt to cross this barrier but took a few pictures and turned around. I definitely want to check with the NPWS if there is a possibility to visit this reserve – it is so nicely calm out there, and wild indeed considering that it is just a few minutes away from the road! That much about my outdoor activities… Clearly I am very excited about the European Soccer Cup in my home country, but unfortunately that is more of a night activity here in Australia. I payed the price for staying up to seeing the Swiss losing the opening game in a very unfortunate fashion by sleeping all Sunday afternoon. I gave it a break last night, but there’s no way I would miss the game of the Netherlands against Italy tomorrow at 4.45 am. I hope my internet-TV is working fine! Today I enjoyed some typical bad weather activities. To start with I went to the Sydney aquarium. Quite exciting, but somehow I prefer to see these animals in nature. But the fish tanks are nevertheless very nicely done. 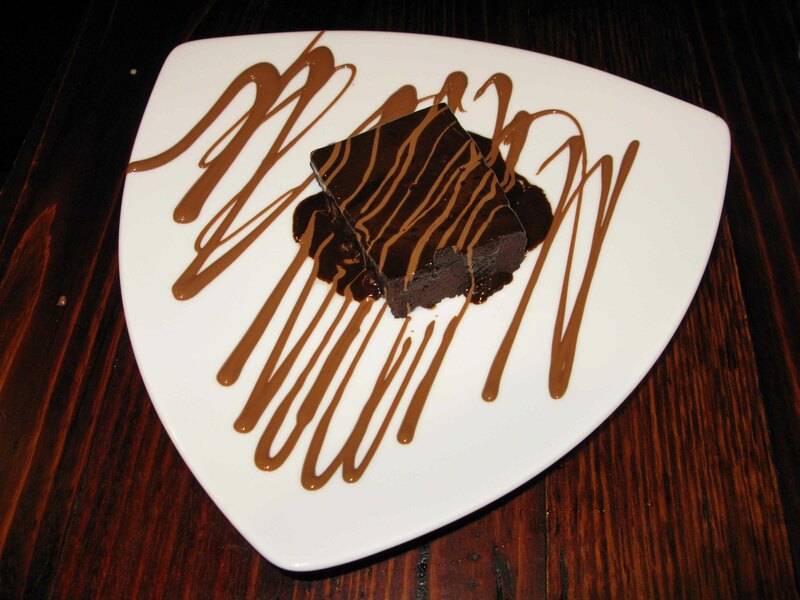 After that it was time for lunch, and since it was still raining after the main course at the Italian we kept going – no surprise I can hardly walk at the moment, my belly is close to exploding….the chocolate brownie at Max Benner has been very tasty indeed! This entry was posted on June 9, 2008 at 6:43 pm and is filed under Food and Wine, General Remarks, Nature, Photography. You can follow any responses to this entry through the RSS 2.0 feed. You can leave a response, or trackback from your own site.